My great-nephew, Mr. B, turned six last week and this is the card I made him for his birthday. I used the “Child’s Year” cartridge for this card. It is a great cartridge and has tons of images. The number “6” font is also on this cartridge. I always have trouble deciding which direction the Cricut cuts when making a card, so I cut the first card at 4 1/2″. Well, of course, I guess the wrong way. I needed to cut it at 5 1/2 to get a 4 1/2 x 5 1/2″ card. 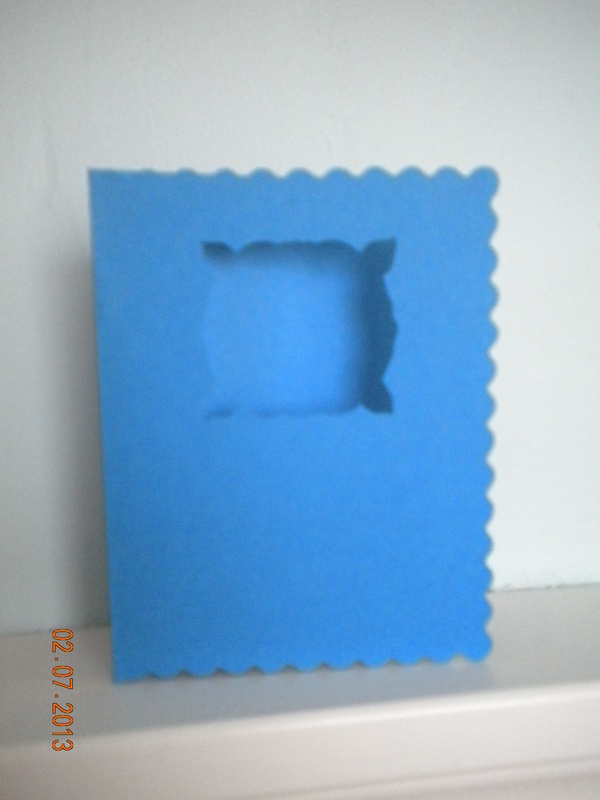 This was the first card cut. 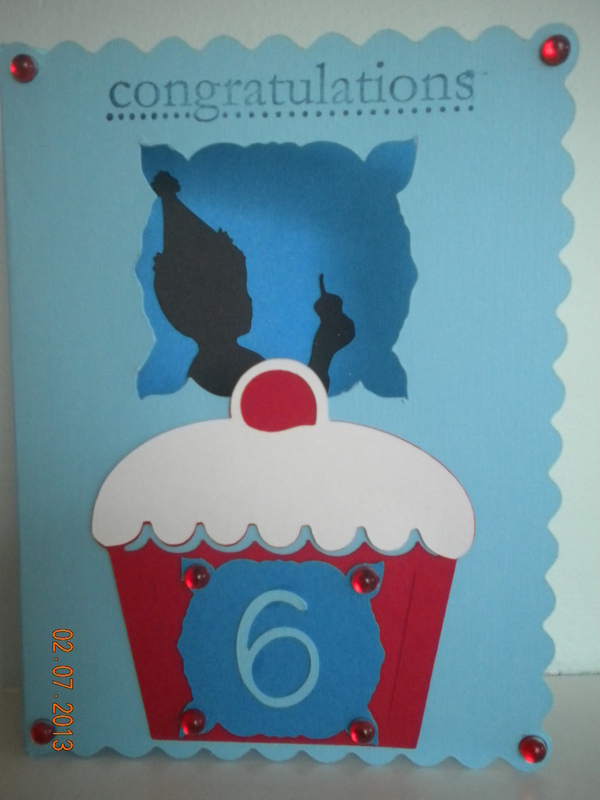 I then cut the 5 1/2″ card out of a lighter blue and used the “cutout” from this smaller card for the background of the “6” on the cupcake. This is the inside of the card. I used Stampin’ Up punches to cut the oval and the label. 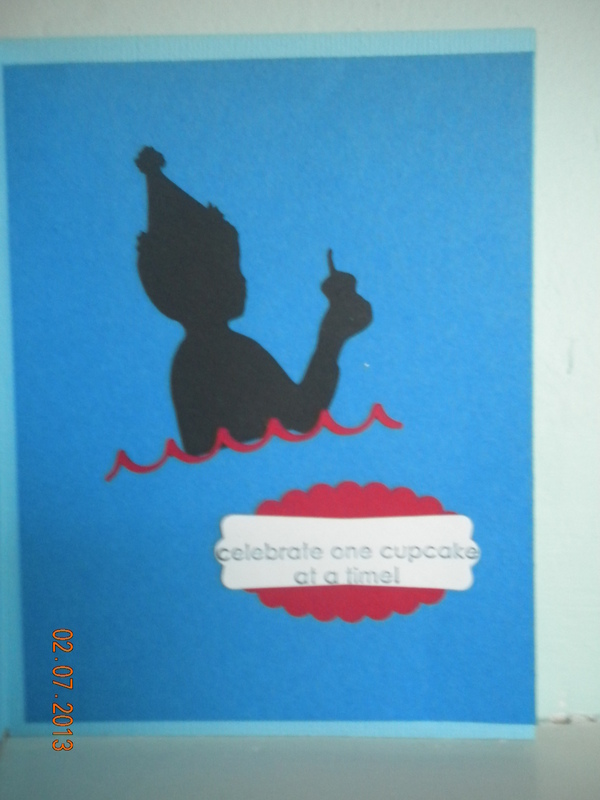 I used the little “wave”, that was left from cutting the cupcake, under the birthday boy. I really think this cartridge is well worth the money and since it has been out a while, you can pick it up at a good price.